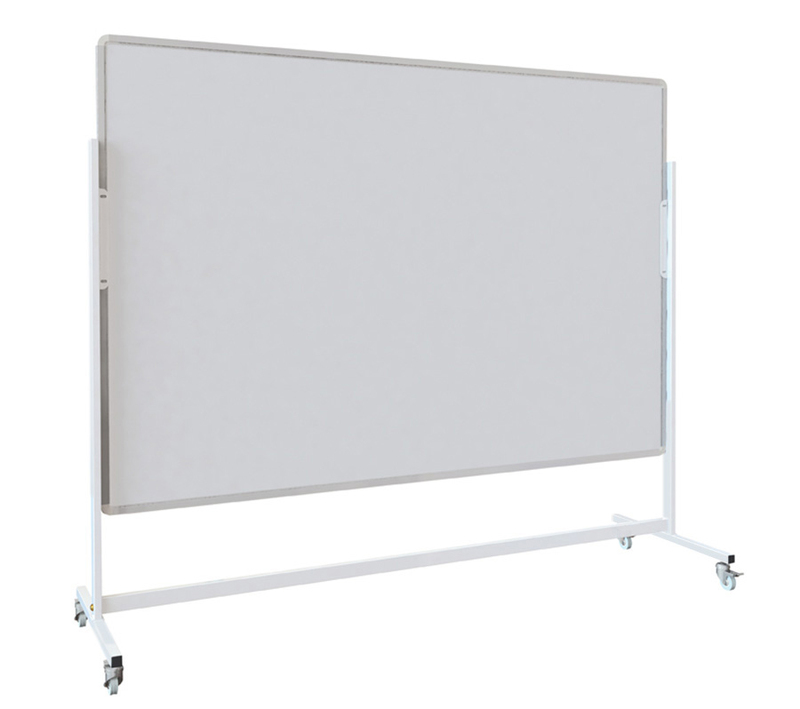 This double sided whiteboard is ideal in teaching and presenting situations. 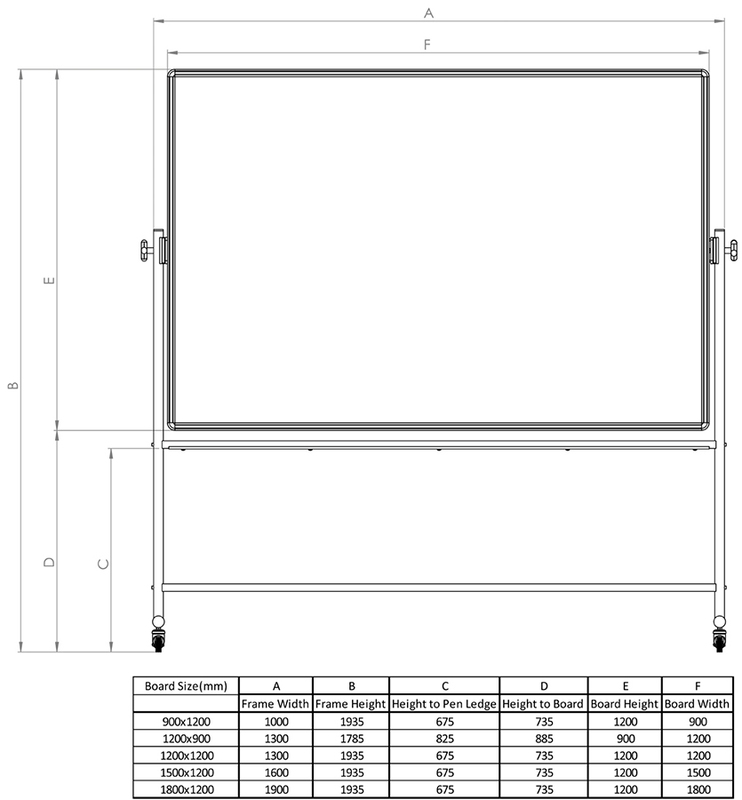 The board is in a landscape orientation and available in 5 sizes. Choose from a magnetic or non-magnetic writing surface which is plain on both sides. The stand is on 4 lockable castors so can be transported easily and locked into place. The board is height adjustable as it can be flipped and reattached to the frame giving a height difference of 210mm.